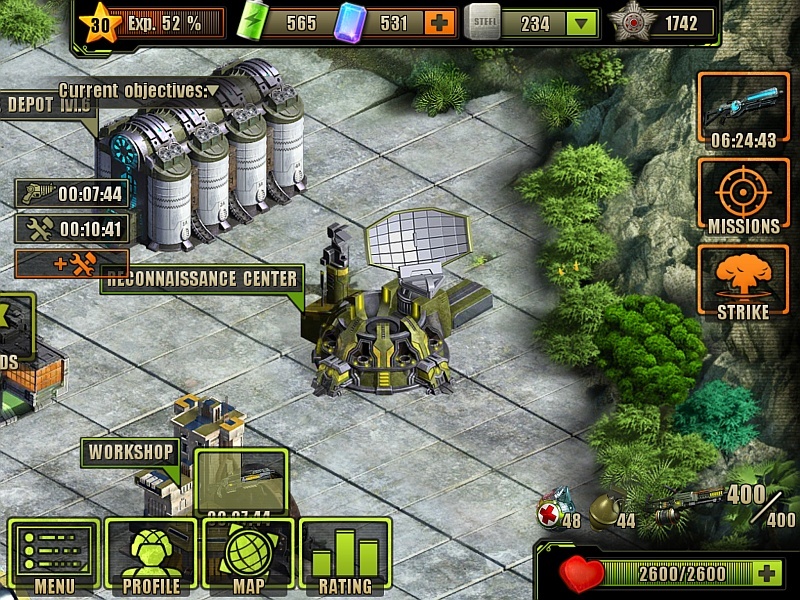 The Reconnaissance Center is one of the many Buildings in Evolution: Battle for Utopia game. Analyze enemy vulnerabilities and exploit it in combats. 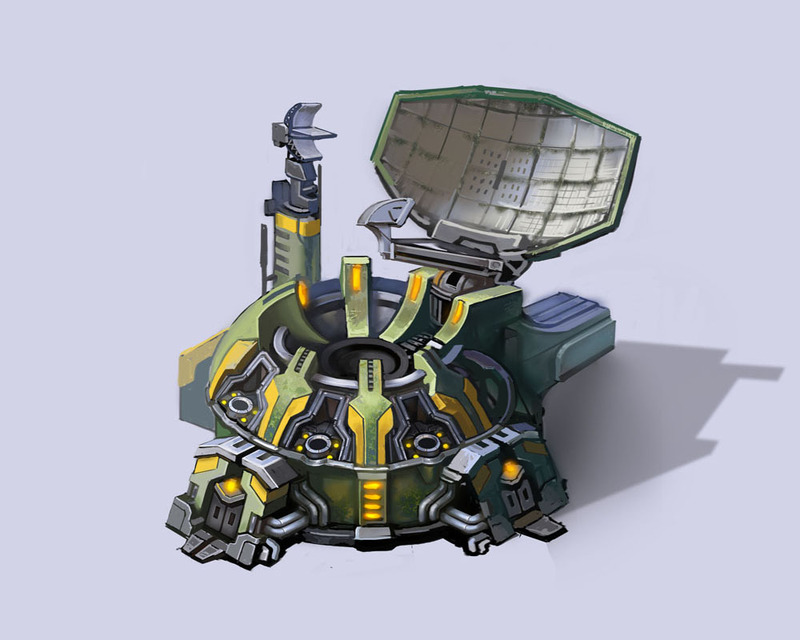 The Reconnaissance Center allows you to research and exploit enemy vulnerabilities, giving you an extra edge in future battles against enemies. After construction of the Reconnaissance Center, new enemy entries will be added to the list as you defeat a new type of enemy. Level 3. Increase damage from Weapons by 15% against this enemy. Your cumulative number of victories against that enemy type is then tracked. Once you reach the target number of victories versus that enemy, its vulnerability will be available for research. There are three vulnerability levels available per enemy type. Researching a vulnerability will make the next vulnerability level available. Just wanted to show a few pics of the Reconnaissance Center “in action”. But If it’s not needed, then delete them all! Good idea to show how the Recon Center is look like inside! I will plan it. Thanks! If you want those pics I posted earlier today, I can send them to you! Sure. At least 2-nd level. You can get a 2*X Aimed shot damage on most powerfull enemies. UFO pistol, for example, gives about 9000 hitpoints on aimed shot on the enemy with third level of vulnerabilities research. And with the last update it’s not a problem to collect tactics points. I have fully researched Shield Bearer and I can take them down with a single aimed shot! And I think was one of the best things I made (researching him to level 3). Also researched Snipers up to level 2 and Giant Spiders and Queen Spider also up to level 2. But I’ll finish researching Snipers up to level 3. I don’t know if Black Legion Snipers are also researched if I research the first Snipers. Unfortunately it looks like the black legion soldiers are all separate, so you’ll have to research the black legion snipers separately. i have not researched anything here , and i have just entered gate …. would someone tell me which are the must research objects in the dominion territory? I would go for the dogs (if you already faced any), cyclone dominator and those also nasty C-900. I have also done the 2nd level for the spiders. Dogs, at least in my level are about 14k health points and launch those nasty energy blasts. Cyclones are also like 12k of health points which makes them hard to kill! So, that’s why I would go for those. 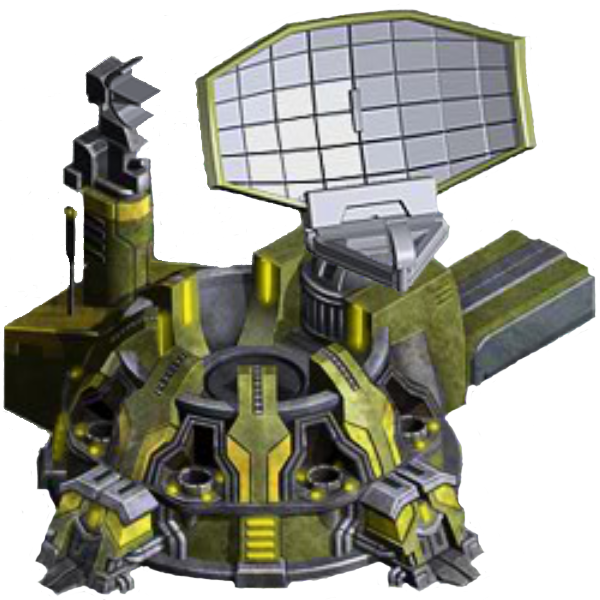 Also C-900 inflicts huge damage and so at least Level 2 would be a great help! Should I research everything in the reconnaissance center ? I’m only level 21 and I already spent more than 3000 training points here. Is it worth it ? It is worth for the strongest enemies for sure! I wouldn’t research the first spiders. Only from Berserker up to Queen. Also would research Snipers, Shielded Bearer, then maybe Pale and Horny Sliders, and later when at Defence Line, again the Snipers, Super Soldier, KingPin Terminator. And lastly, when at Dominion, research the Arachnid, Cyclone and Hound Dominators, at leasT! why doesnt the turret appear at reconnaisance centre ?? Good question. Wanted to ask the same! May be cus they’re upgradeded by your lv and u’ll never face them after shut down Dominion cus there’re no lv5 terror after lv60+. Yes, sure the C-900 definitely. Forgot about it. But the first level, is almost useless. I would say, at least, 2nd level, which is the one that can inflict great damage, even behind a shield! I’m at lvl 49 now! Is it better to complete the researches in the reconnaisance centre before proceeding through the story line?